ISPAN draws attention regarding frequency distribution - Integration Through Media ....! 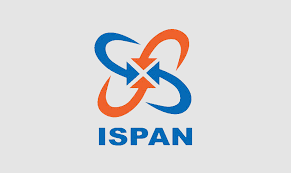 KATHMANDU: The Internet Service Provider Association Nepal (ISPAN) has drawn the attention of bodies concerned, saying preparation was on to grant permission for operating internet service through frequency used for television purpose. The ISPAN on Friday submitted a memorandum to Acting Chair of Nepal Telecommunications Authority, Purushottam Khanal, after staging a sit-in in front of the Authority office. ISPAN Chair Bhojraj Bhatta familiarized about their demands to Acting Chair Khanal, submitting the memorandum. On the occasion, acting Chair Khanal said that discussion would be held after knowing its authenticity. Bhatta demanded the Authority not to distribute frequency immediately, arguing that granting permission to operate internet service through frequency used for television purpose was against the standard and practice of distribution of license to telecom service and frequency.